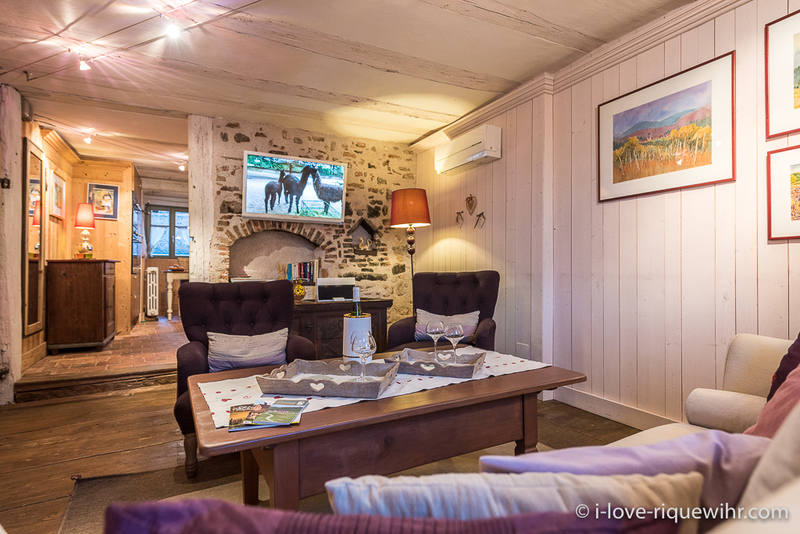 Lucky Dragon ***** 5 star spacious luxury gite for 2-6 persons with a sheltered terrace overlooking a garden. Air conditioning. 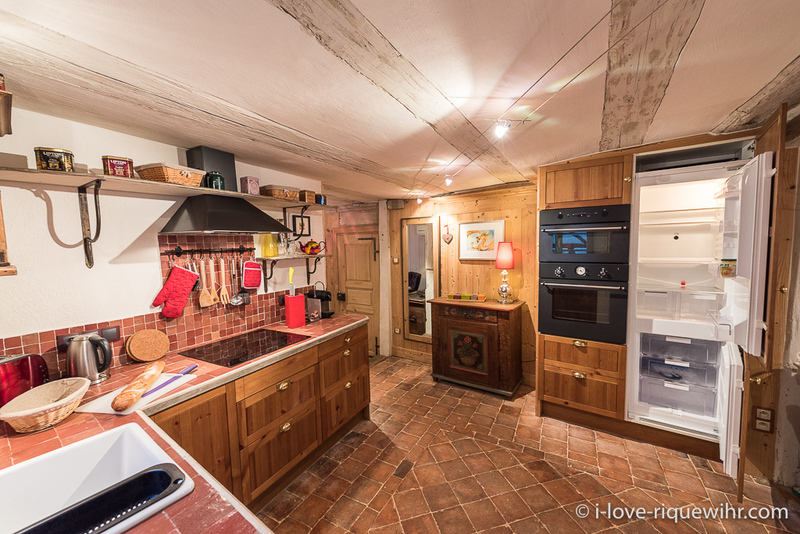 Luxury holiday apartment with garden terrace for 2 people looking for space and comfort. An alternative to the White Sork with 4 extra beds (1 master bedroom + 2 small bedrooms with single beds). 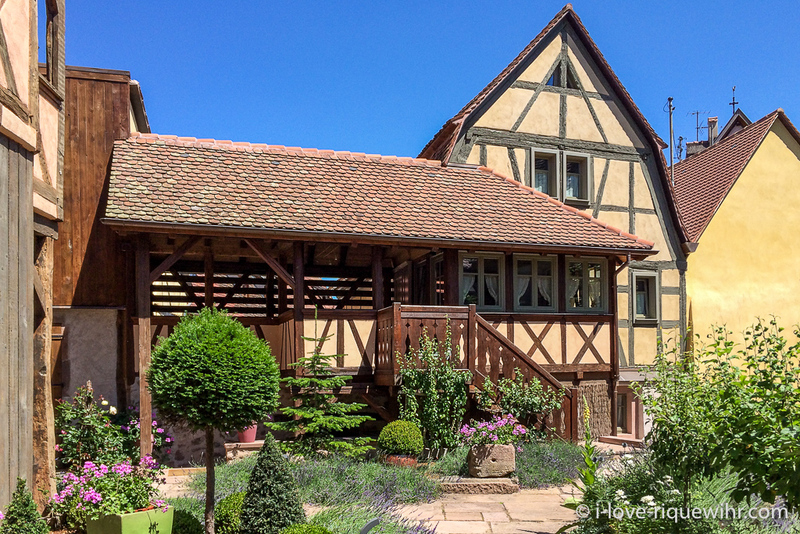 The successful marriage of the beautiful Alsatian tradition and top modern comfort. 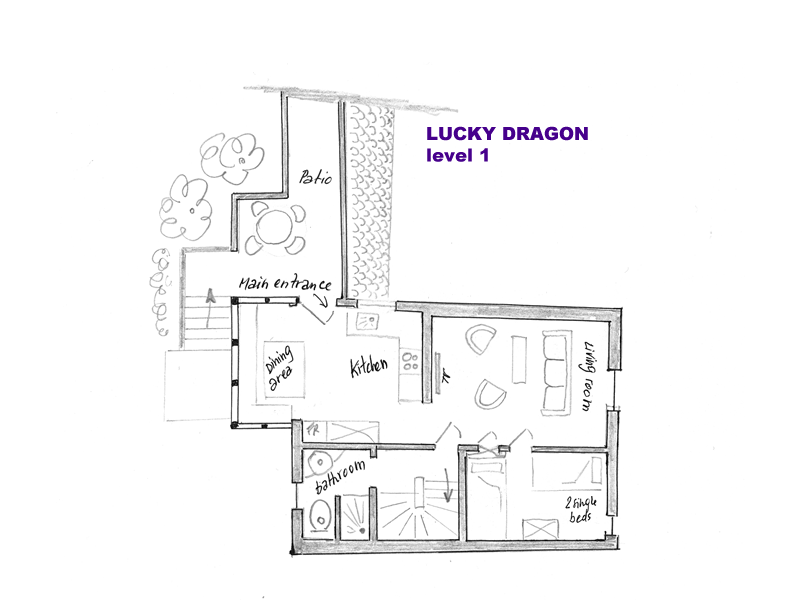 With more than 95 square meters + outside terrace, the Lucky Dragon is the second largest apartment in our new Remparts 1291 property. It is accessible via a private terrace overlooking the garden (the garden gives access to all the apartments of the property). The apartment itself is spread over 3 levels. Upon entry, one reaches a spacious kitchen with its large dining area housed in a glazed extension overlooking the garden. 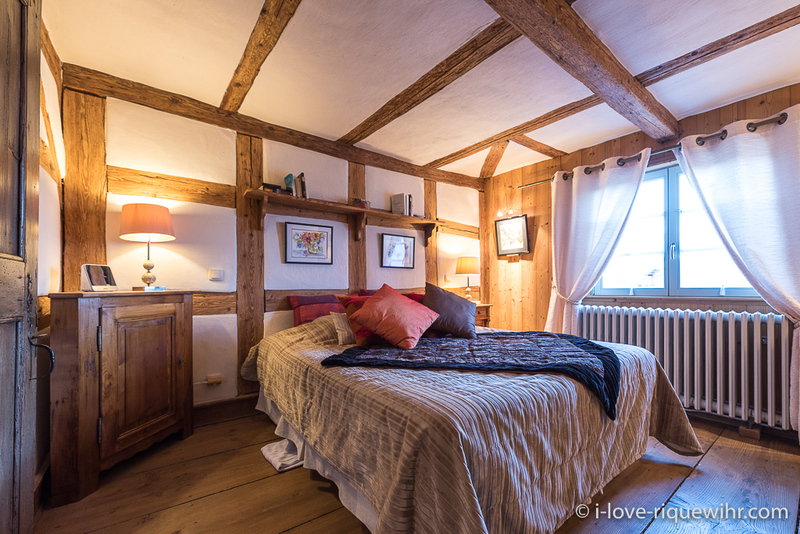 At the same level is a comfortable lounge and a romantic small alcove serving as a small bedroom for 2 persons (comfortable separate beds 90 x 200 cm). A bathroom with shower and toilet complete the layout of this first level (not adjacent to bedroom, check layout). 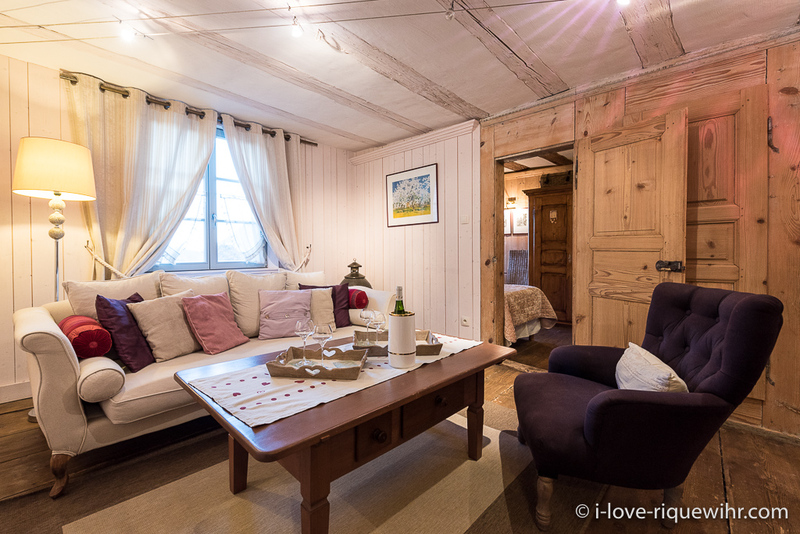 Upstairs is a nice bedroom (king size double bed 180 x 200 cm) and a beautiful bathroom with a toilet. 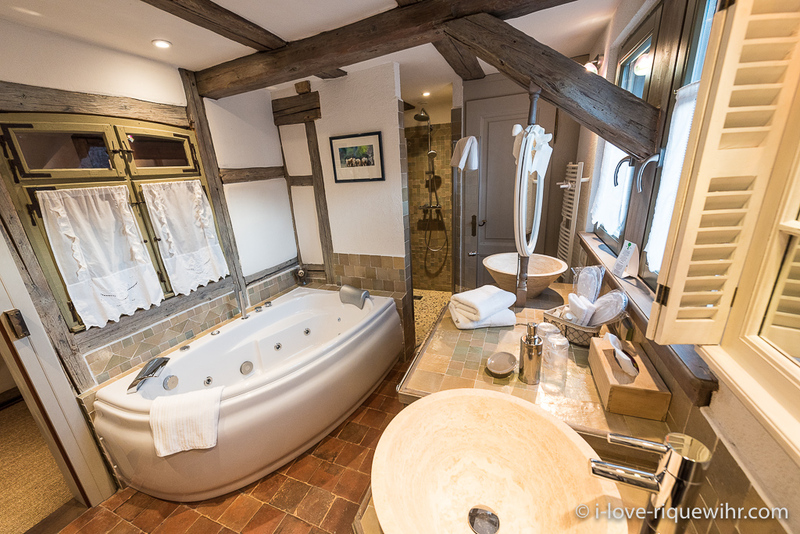 The bathroom offers a bath and a large separate shower, two sinks and a large closet for the storage of clothes, ideal for long stays. 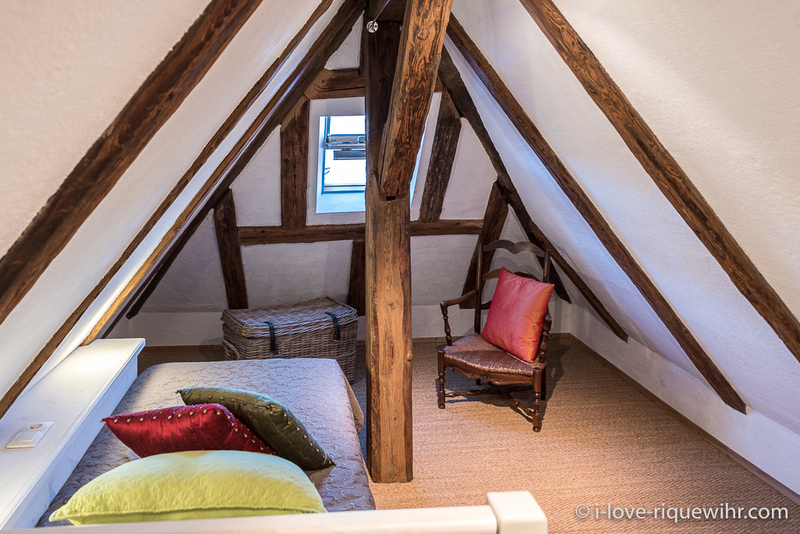 If necessary, in the attick, there are 2 comfortable single beds (90 x 200 cm) are available for quiet grown-up children. 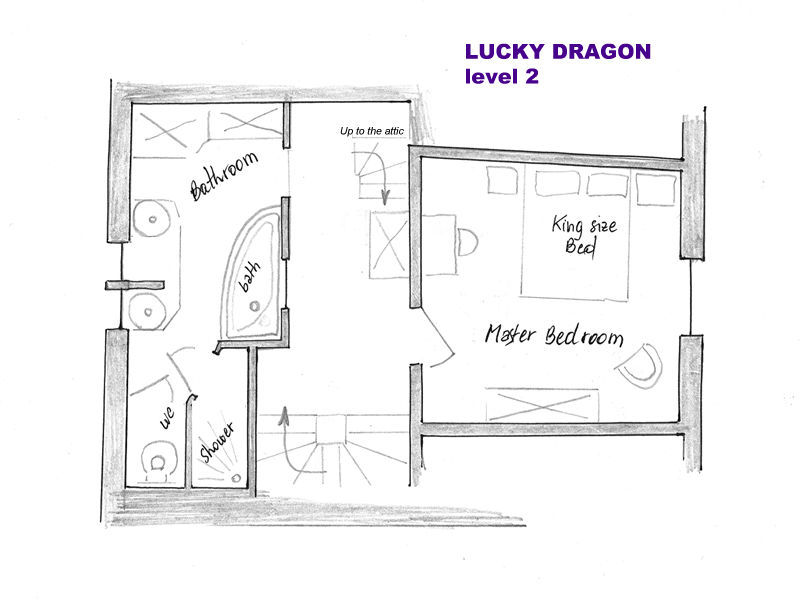 Although the Lucky Dragon benefits from a good natural insulation, the living room and the attic (extra beds) are airconditioned. The main bedroom has no airconditioning since it is hardly necessary. The LUCKY DRAGON is a very new luxury apartment with top comfort for 2 people. 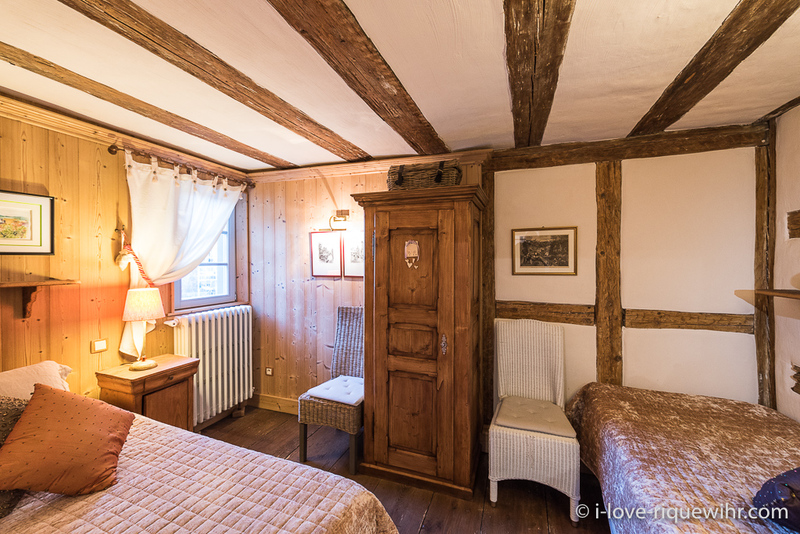 It is also ideal for a family stay with grandparents, parents and older children (but the apartment is not suitable for very young children due to safety issues). For a fair distribution of the costs, we suggest 40% of the cost for the occupants of the downstairs bedroom and 60% for the occupants of the master bedroom. 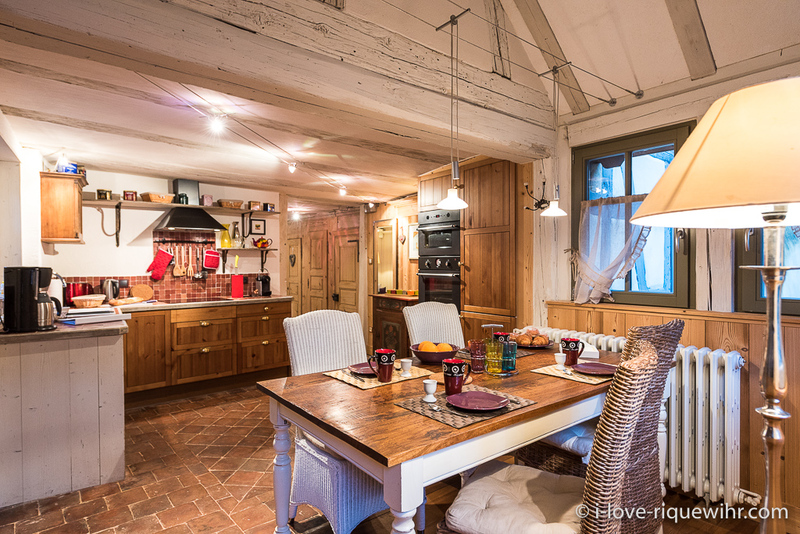 In the case a strictly equivalent level of accommodation is required for each couple, we recommend renting one of our other apartments: Alsatian Hart, Dove's Nest, Marco Polo or Riesling. It is also possible to rent 2 smaller apartments.